Photograph of Peter Byrne as a young man, taken in a photographic studio. 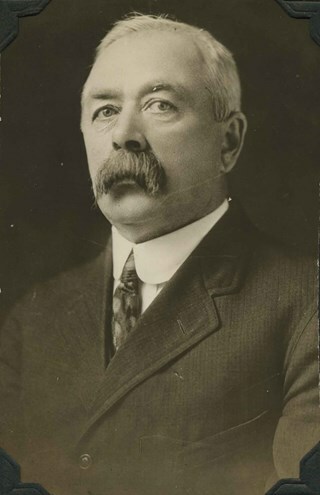 Peter Byrne went on to serve as a member of Council from 1894 to 1895 and from 1898 to 1906, and was Reeve of Burnaby from 1906 to 1910. He was married to Priscilla Rowling Byrne. Photograph of Peter Byrne, Reeve of Burnaby from 1906 to 1910. Earlier, he also served as a member of Council from 1894 to 1895 and from 1898 to 1906. He was married to Priscilla Rowling Byrne. 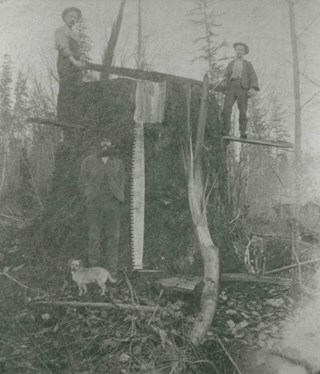 Photograph of Peter Byrne holding a crosscut saw, standing on a spring board with an unidentified man to the right while Frederick Thrussel stands in front next to a dog and a crosscut saw leaning against the stump and one of a laser print of the Byrne farm. File consists of two typewritten copies titled "Peter Byrne family" by Mary Forsyth; a few copies of newspaper clippings from the Columbian about Peter Byrne as Indian Agent ca. 1911; a copy of a handrawn plan showing property owners of South Burnaby in 1900; a copy from The Monthly Bulletin dated December 1921; and handwritten genealogical and biographical notes. 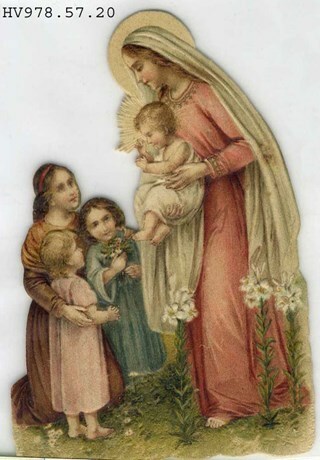 Biographical and historical information was compiled by Mary Forysth with the intention of publishing a book. Photograph of Frederick Thrussell in a three-piece suit and hat, standing in front of a large stump. A small dog stands in front of him, and a crosscut saw is to his left, propped up vertically against the stump. Peter Byrne stands on a spring board protruding from the stump, and holds on to the end of a second crosscut saw. On the other side of the stump, a man balances on a second spring board while holding on to the opposite end of the horizontal crosscut saw with this right hand. Peter Byrne went on to serve as a member of Council from 1894 to 1895 and from 1898 to 1906, and was Reeve of Burnaby from 1906 to 1910. Photograph of Peter Byrne standing on train tracks next to a train. 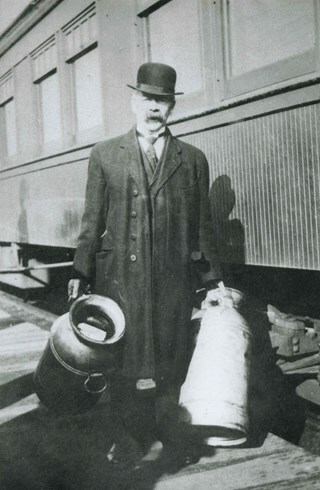 He is wearing an overcoat and bowler hat and is holding a large jug in each of his hands. Peter Byrne was Reeve of Burnaby from 1906 to 1910. Earlier, he also served as a member of Council from 1894 to 1895 and from 1898 to 1906. 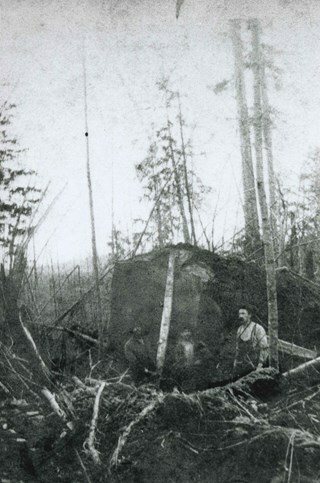 Photograph of Frederick Thrussell, unidentified, and Peter Byrne standing in front of a large fallen tree. A crosscut saw is propped up vertically against the end of the felled tree. Peter Byrne was Reeve of Burnaby from 1906 to 1910. Earlier, he also served as a member of Council from 1894 to 1895 and from 1898 to 1906. 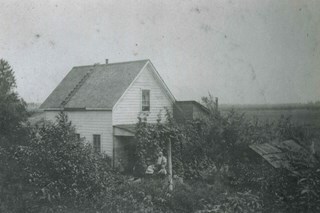 Photograph of Peter Byrne and his children; son Ultan, and twin daughters; Norah and Mary outside of their house on the Byrne farm on River Road. Peter Byrne was Reeve of Burnaby from 1906 to 1910. Earlier, he also served as a member of Council from 1894 to 1895 and from 1898 to 1906. 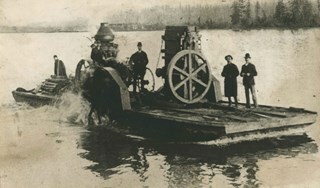 Photograph of five men standing on a flat-bottom vessel on the Fraser River. A label accompanying the photograph reads: "1st threshing outfit in Burnaby, about 1892. Owned by Pat Byrne, brother of Peter. 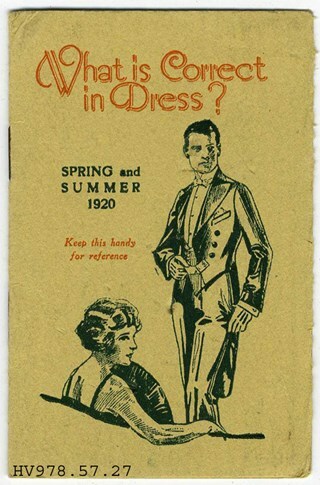 Sold to Peter when Pat returned to Ireland to live. On Fraser River. L. to R.: Pat Byrne, Capt. Stewart of "Alice", Peter Byrne and another (unknown)." 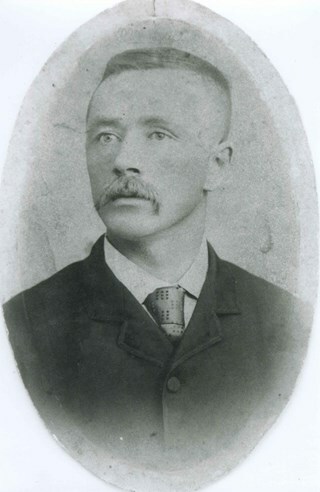 Peter Byrne was a member of Burnaby's municipal council from 1894-1895, 1898-1906 and served as Reeve from 1906-1910. The threshing machine (visible behind the side paddle of the scow) was loaded onto this scow for transport from New Westminster to the Byrne farm in Burnaby. 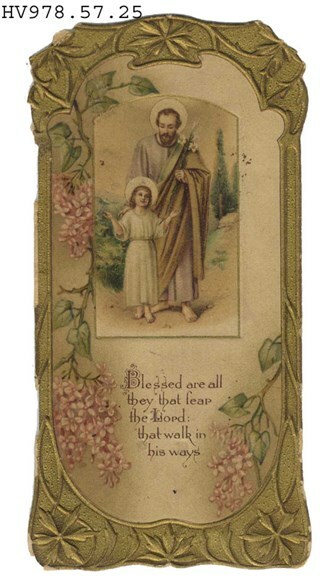 Canada Registration Board - Certificate and Case -- . Certificate for Ultan P. Byrne from the Canadian Registration Board. The certificate is in a green imitation leather cover with amber plastic panel. 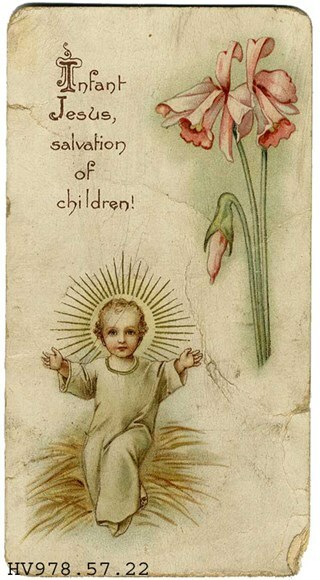 This was issued to the donors' father. Threshing machine on paddlewheel barge on river. Five men standing on barge. Part of a set of photographs from the Columbian Newspaper, which operated out of New Westminster under this name starting in 1900 until its dissolution in 1988. Photographs found in the collection of the Burnaby Village are dated 1971. "Ist Threshing outfit in Burnaby, about 1892. / Owned by Pat Byrne, brother of Peter. 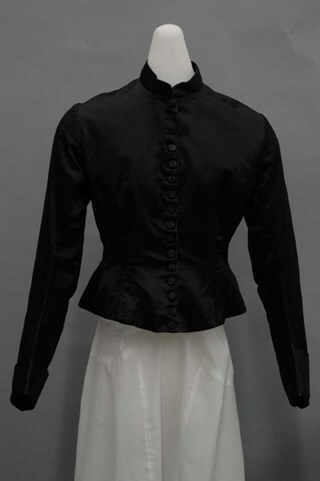 Sold to / Peter when Pat returned to Ireland to live. / ON Fraser River. L. to R. : Pat Byrne, Capt. Stewart / of "Alice", Peter Byrne and Another (unknown)." 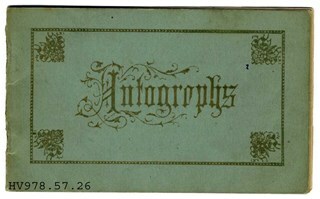 on typewritten label on front of photograph. "Columbian files" written on verso in black pen. Photograph of Provincial Court Judge Patricia Byrne being officially sworn in inside the Burnaby Municipal Justice building. Her grandfather Peter Byrne was the Mayor of Burnaby from 1906 to 1910. Photograph of Provincial Court Judge Patricia Byrne behind the bench at the New Westminster Family Court. She is looking up and smiling as she works. Her grandfather Peter Byrne was the Mayor of Burnaby from 1906 to 1910. 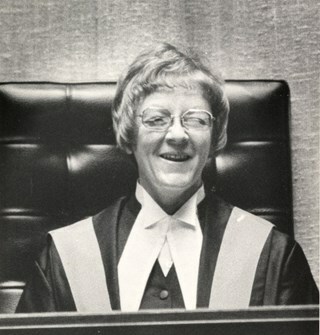 Newspaper clipping attached to verso of photograph reads: "Provincial Court Judge Patti Byrne finds law an exciting profession. She is shown here behind the bench in the New Westminster Family Court." Photograph of six young girls in a dance troupe on stage or at a dance studio. 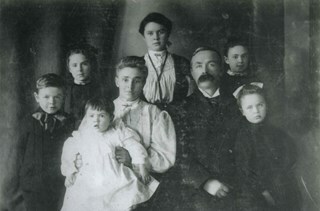 The younger girl seated on the right marked by an "x" is Beverlea Patricia Byrne. 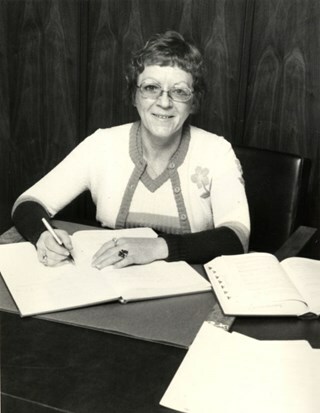 Know as "Patsy" as a child, Patricia Byrne was born in 1932 in Vancouver and was appointed a British Columbia Provincial Court Judge in 1975. Her grandfather Peter Byrne was the Mayor of Burnaby from 1906 to 1910. Note in pencil on verso of photograph reads: "Dear Grandma/ The one with x under it is Patsy / Love Patsy"
Photograph of three young girls in a dance troupe on stage or at a dance studio wearing matching costumes. The girl in the center is Beverlea Patricia Byrne. 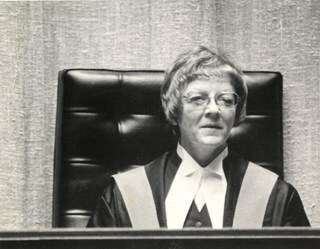 Know as "Patsy" as a child, Patricia Byrne was born in 1932 in Vancouver and was appointed a British Columbia Provincial Court Judge in 1975. Her grandfather Peter Byrne was the Mayor of Burnaby from 1906 to 1910.